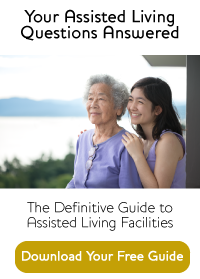 At some point, you or your loved one may need some extra help with the everyday tasks of living. Imagine how nice it would be to have your grocery shopping and cooking and laundry done for you. In Highgate’s Assisted Living community, The Manor, we take the burden of these chores off your shoulders. The Manor is home to senior men and women, both singles and couples, who live in a variety of apartment styles and sizes. Each has a refreshment kitchenette, large bathroom with walk-in shower, and an emergency call system that offers two-way voice communication with our team members at any time of day or night. Our services are personalized to meet individual needs, so that our residents can remain as independent as possible, for as long as possible, yet have the care they require at a moment’s notice. We adjust our schedule to theirs, whether it’s bringing food or drink up to a room if someone just doesn’t feel like coming down, assisting with medications no matter how complicated, or helping with a bath and getting dressed. Each morning kicks off with the aroma of freshly brewed, artisan coffee. All our nutritious, delicious meals include a variety of choices to suit every palate and dietary need. And our food is made from scratch for that home-cooked taste. Throughout the day, we offer a host of activities, such as group discussions on current events, exercise classes, shopping and special outings, games, music, movies, sports, sing-alongs and entertainment. Or, you can just sit and relax in the fireside lounge. Pets are welcome, as visitors or residents. And families, of course, are always invited and encouraged to spend time here. Some particularly enjoy attending our special events – parties, concerts, and even afternoon tea served London-style. Come in for a tour and see for yourself how Assisted Living at Highgate supports every resident in living each day to the fullest.